In the April edition of Brain Stimulation, the Clinical TMS Society published expert consensus guidelines on the use of TMS. This definitive review of the literature identifies both what is known as well as significant areas of uncertainty about the use of TMS in the treatment of depression. This consensus review was written by cTMSs leaders, informed by membership polls, and approved by the governing board. It summarizes current evidence for the safety and efficacy of the use of TMS therapy for treating depression in routine clinical practice. Authors systematically reviewed the published TMS antidepressant therapy clinical trials. Studies were then assessed and graded on their strength of evidence using the Levels of Evidence framework published by the University of Oxford Centre for Evidence Based Medicine. 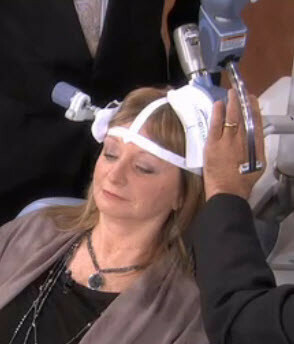 One of the common questions that people ask is how durable the results from TMS treatment are. Long-term outcome studies are expensive and relatively rare, even for antidepressant medications and their are only a handful of long-term TMS studies, and none of those studies extend beyond one year. That said, the studies that do exist suggest that roughly half of patients who respond well to TMS treatment continue to experience benefits for a year or more after discontinuation of the treatment, if they are also maintained on antidepressants, and that of those who experience a recurrence of depressive symptoms in that year, most respond well to a brief (2 to 3 week) additional course of treatment. The Clinical TMS Society Consensus Review and Treatment Recommendations for TMS Therapy for Major Depressive Disorder. Perera, Tarique et al. Brain Stimulation: Basic, Translational, and Clinical Research in Neuromodulation , Volume 9 , Issue 3 , 336 – 346. 2016.